Graphene oxide (GO) has been demonstrated to be an effective hydrophilic nanofiller to modify the polymeric membranes when forming a mixed matrix structure. 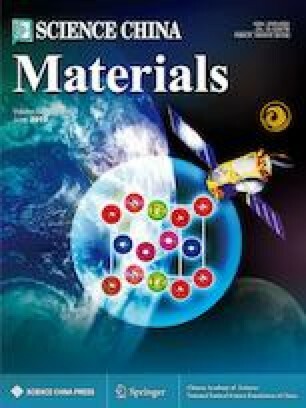 GO quantum dots (QDs) are promising candidates to fully exert the rich oxygen containing functional groups due to their unique size induced edge effects. In this work, GO QDs modified polysulfone (PSF) ultrafiltration (UF) membranes were prepared by phase inversion method with various GO QDs loadings (0.1–0.5 wt.%). A proper amount of GO QDs addition led to a more porous and hydrophilic membrane structure. With 0.3 wt.% GO QDs, the membranes showed a 60% increase in permeability (130.54 vs. 82.52 LMH bar−1). The pristine PSF membranes had a complete cutoff of bovine serum albumin molecules and it was well maintained with GO QDs incorporated. The membranes with 0.5 wt.% GO QDs exhibited the highest flux recovery ratio of 89.7% and the lowest irreversible fouling of 10.3% (54.5% and 33.3% for the pristine PSF membranes). Our results proved that GO QDs can function as effective nanofillers to enhance the hydrophilicity, permeability and antifouling performance of PSF UF membranes. Supplementary material is available for this article at https://doi.org/10.1007/s40843-019-9417-5 and is accessible for authorized users. Guoke Zhao received her BSc degree from Northwestern Polytechnical University in 2016. She is currently a PhD candidate with Prof. Hongwei Zhu at the School of Materials Science and Engineering, Tsinghua University, China. Her current research focuses on graphene oxide based membranes for water treatment. Hongwei Zhu is a Professor of School of Materials Science and Engineering, Tsinghua University, China. He received his BSc degree in mechanical engineering (1998) and PhD degree in materials processing engineering (2003) from Tsinghua University. After postdoctoral research in Japan and USA, he began his independent career as a faculty member at Tsinghua University (2008-present). His current research interests involve structural design and engineering of nanomaterials for energy and environmental applications. 氧化石墨烯(GO)是一种有效的对高分子膜进行添加改性的亲 水性纳米材料, 氧化石墨烯量子点(GO QDs)在保持GO结构的同时, 其小尺寸所致的边缘效应, 使其具有更加丰富的含氧官能团. 本文采 用相转化法制备了GO QDs改性的聚砜超滤膜, 合适添加量的GO QDs提高了复合膜的孔隙率和亲水性. 当GO QDs添加量为0.3 wt.% 时, 复合膜的水通量提高了60%(130.54 vs. 82.52 LMH bar−1), 并实 现了对牛血清白蛋白分子的完全截留. 在抗污染测试中, GO QDs 添加量为0.5 wt.%的复合膜具有最高的通量回复率(89.7%)和最低 的不可逆污染率(10.3%). 该研究表明GO QDs作为添加改性材料, 可有效提高聚砜超滤膜的亲水性、水通量和抗污染性能. This work was supported by Beijing Natural Science Foundation (2172027).